Jeff New wins the Senior Division. 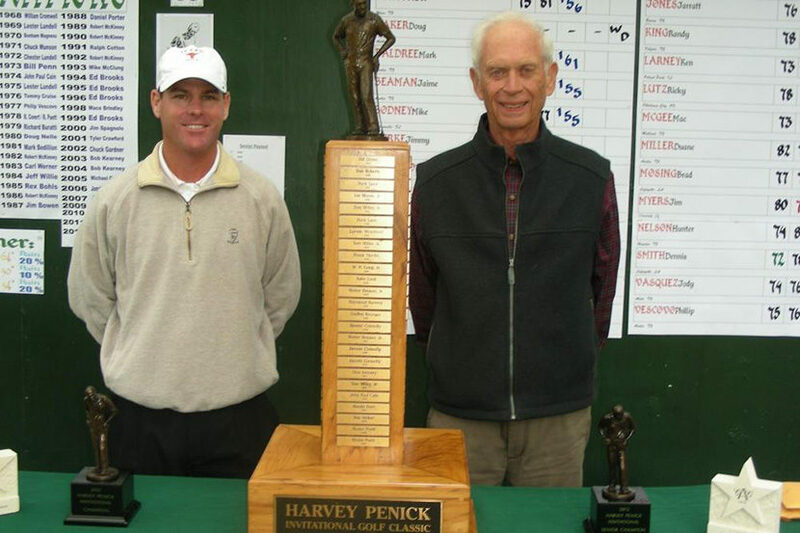 Play at the 2012 Harvey Penick Invitational has been completed. Ryan Murphy of Austin shot a final-round 69 to win by one shot over Andrew Lawson of Dallas and by two over Kevin Watford of Franklin, TN. Joe Sanders of Incline Village, NV entered the final round with a one-shot lead, but it was Watford who forged ahead with a 3-under 33 on the outward nine. Murphy, who is the assistant golf coach at the University of Texas, was seven shots back at the turn, but four birdies later found himself alone in the lead heading to the difficult par-4 18th. A pulled tee shot left a 200+ yard approach shot over the canyon to the green, but Murphy was able to find land short right of the green, then get up and down making a six-footer for par. Andrew Lawson, who eagled the 17th to briefly take the lead before Murphy caught him, bogeyed the final hole and finished one behind. It was then up to Watford, who had lost four shots and needed to birdie the 18th to force a playoff, but his approach from the fairway bunker found the canyon and Murphy was the winner. Watford finished solo third, two shots back. 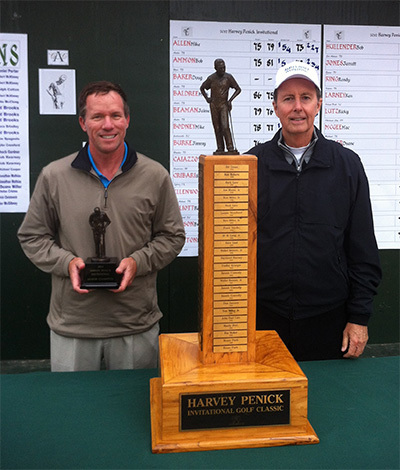 In the Senior Division, Jeff New of The Woodlands, TX started the day as the only player under par, but went triple-double on the 7th and 8th holes to surrender the lead to 2010 HPI champion Larry Nunez of Austin, who turned at even for the day and +2 for the tournament. But New rebounded with birdies at 9, 12 and 13 to regain the lead as Nunez faded, and held on to win by one shot over Chuck Ellenwood of San Antonio, who closed with a 70. Nunez finished third, three shots back. Thanks to all players who participated in the tournament this year. Thanks also to Bobby Stringer, course superintendent who worked so hard to bring the golf course to championship condition.